How about this little slice of American pie? 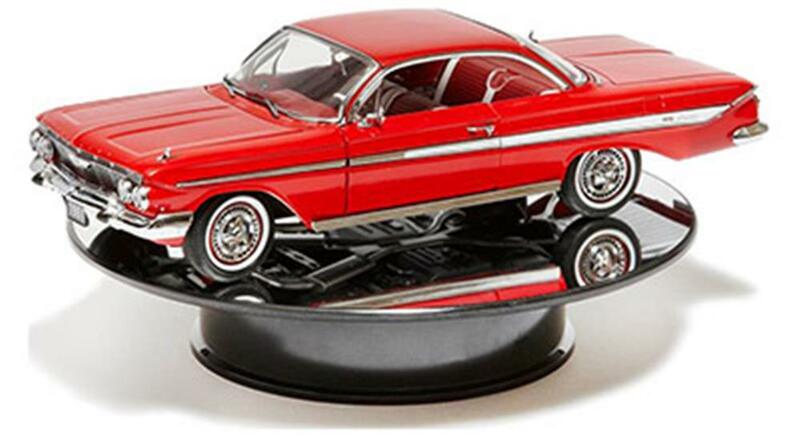 Cruise on back to the golden days of muscle cars with this Roman Red ’61 Impala Sport Coupe Diecast Model Car. With real opening, doors, hood and trunk that reveal authentic details, this 1:18 scale diecast replica includes all of the special trademarks of the Impala, including the iconic round taillight and classic and distinct body lines. Model display sold separately. Available here for $29.99.